For the second year running, Leica Camera will be the Official Partner of Photo London. Eighty-seven of the world's leading galleries will exhibit at the fair this year. Building on the success of the previous two editions, Photo London 2017 will showcase the best in contemporary and historic photography to a growing international audience of collectors and enthusiasts intrigued by the rich history of the medium and its future directions. At the third annual Photo London fair (18-21 May 2017), Leica Camera will exhibit Jacob Aue Sobol: "Road of Bones", a new body of work by the Danish Magnum Photographer. Featuring photography never previously exhibited, this debut collection incorporates poignant images captured in desolate locations, including Yakutia in Russia. 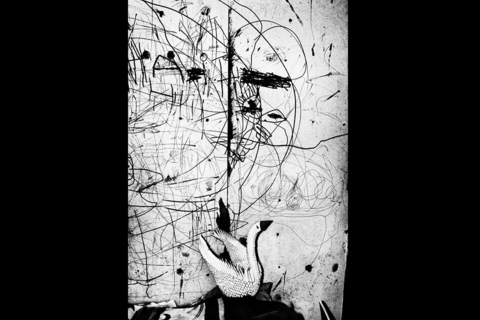 All images were shot in black and white by Jacob Aue Sobol with Leica M cameras, and are immediately recognisable thanks to Sobol’s individual shooting style and distinctive visual language. Furthermore, the photographs in this collection are distinguished by their powerful, high contrast qualities characterised with deep, rich blacks. Sobol has faithfully documented the bleak landscape and its people, telling the story of a community seeming to exist in sheer defiance, in the coldest and harshest part of the inhabited world today. Indeed, the images were captured in inconceivably severe conditions, with temperatures as low as - 60° Celsius.